First founded in 1901 up in Wisconsin, Original Chippewa is a company that creates super-tough boots that are extremely durable and 100% made in the USA. Today, we’re going to talk about three models so let us stop wasting time and get straight to the point. The first model we’re mentioning, the 6″ Service Boot, features a timeless American style. It was hand made with premium materials- full grain, American Hide. The boot has a Vibram V-Bar outsole and a maple leather heel, giving it the classic style that can be combined with any everyday outfit. The 7 eyelet lacing with a nickel finish provides room for durable, waxed cotton laces. More features include a Goodyear Leather Welt and a comfortable Texon insole. Available in three colors- tan renegade, crazyhorse, and cordovan. Original Chippewa 6″ Boot features full grain, American Hide and a timeless style. The boots are handcrafted 100% in the USA. The Dress Chukka model is made exclusively for Huckberry. 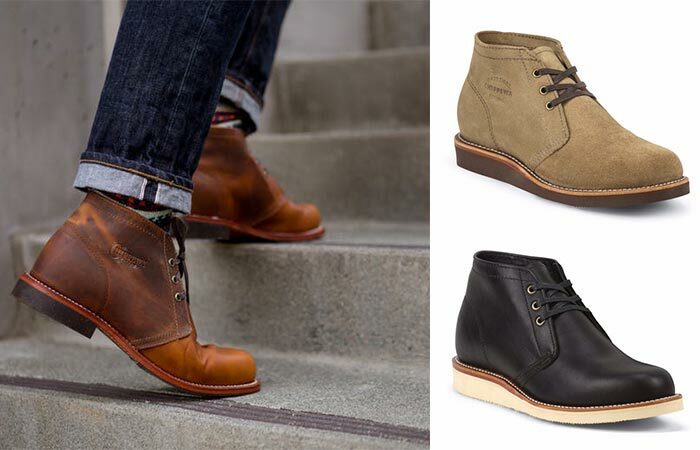 It has a recognizable 5” chukka design made using the same materials and construction as the Service Boot. Finally, the Modern Suburban comes in two variants – the original 1955 and 5″ boot. 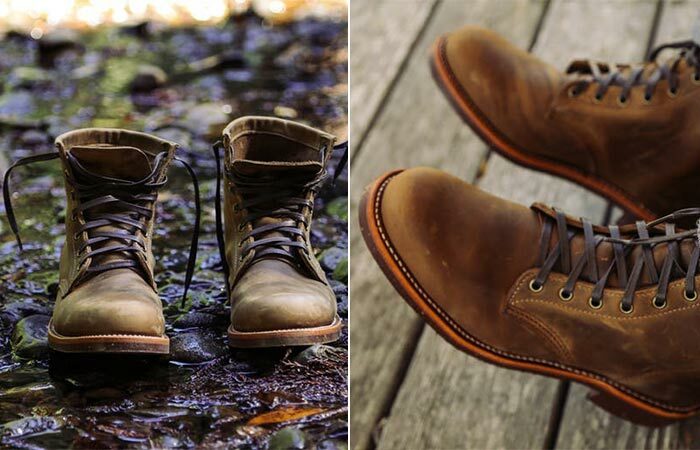 Both are made from an English tan, oiled Horween full grain leather upper. They feature a leather insole and a Vibram Heritage wedge sole. As for the looks, they mix classic style and everyday wear. Two models that are made with the same quality are the Dress Chukka and the Modern Suburban. Taking care of your boots and keeping them clean is the key to their long life. In order to preserve your Original Chippewa Boots and wear them for years to come, simply clean them with a cloth or brush. Another trick is to always allow the leather to air dry and of course, use mink oil or some all-natural leather conditioner.